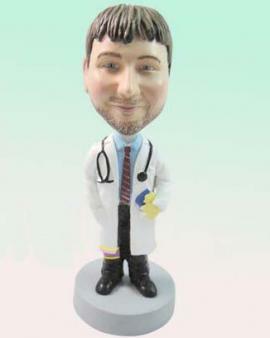 Do you know that our Cake Toppers is simply different from other providers because we sculpt with the finished product ! Most Cake Toppers providers use poly resin clay and then they bake and mold the dolls - apply paint and the doll is yours... We uses Polymer Clay - the color is the clay so the final product is actually brighter, true 3D likeness and higher quality. All our work is hand sculpted with free proofs for your approval during each phase, We have created thousands of Cake Toppers for our customers since 2007. Thank you for selecting wecaketoppers.com as your premier provider of custom Cake Toppers dolls.